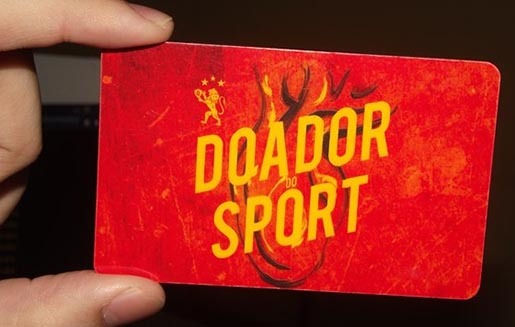 Sport Club Recife | the creative bazaar. “Immortal Fans”, an organ donor advertising campaign associated with Brazilian soccer club Sport Club Recife, has been awarded the Promo & Activation Grand Prix at Cannes International Festival of Creativity 2013. The “Immortal Fans” donor card was developed to help club fans associate organ donation with after-death support for their football team. Cards, available for download through an app, or received by mail, showed family members that in the event of death organ donation would be preferred. The campaign included television commercials featuring real patients on transplant lists who promised to keep donors’ passion for Sport Club Recife alive.